A big downtown crit with a bunch of pro teams duking it out has got to be one of the most enjoyable cycling events to watch, ever. 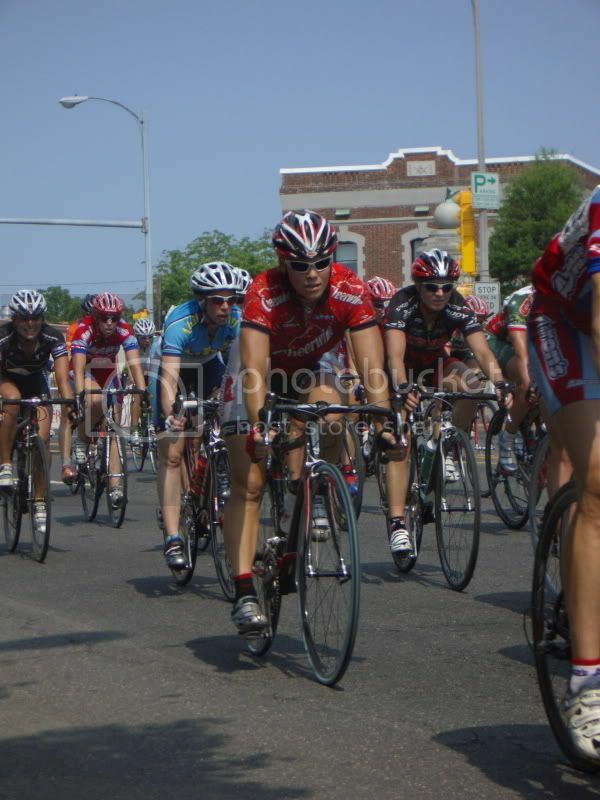 It was a good 85-90 degrees today when the pros got started at about 1PM on their 100-LAP crit. The course is very exciting and technical, with 3 >90 degree turns and nowhere to recover. It definitely tells you something when the pro field lost about 2/3 of its strength throughout the race. It is. As you can see she's back at full strength and enjoying the races once again. is that a powertap she's wearing on her collar? nice pics drpete......looked like fun afternoon. Last edited by pcates; 06-02-07 at 05:10 PM. who all was there on behalf of the CSC squad or other major teams? Nice Pics Pete. Dora looks very happy! This is kinda long, but the link is sort of hidden in the race website... so here you go. Yeah, she had an absolute blast. 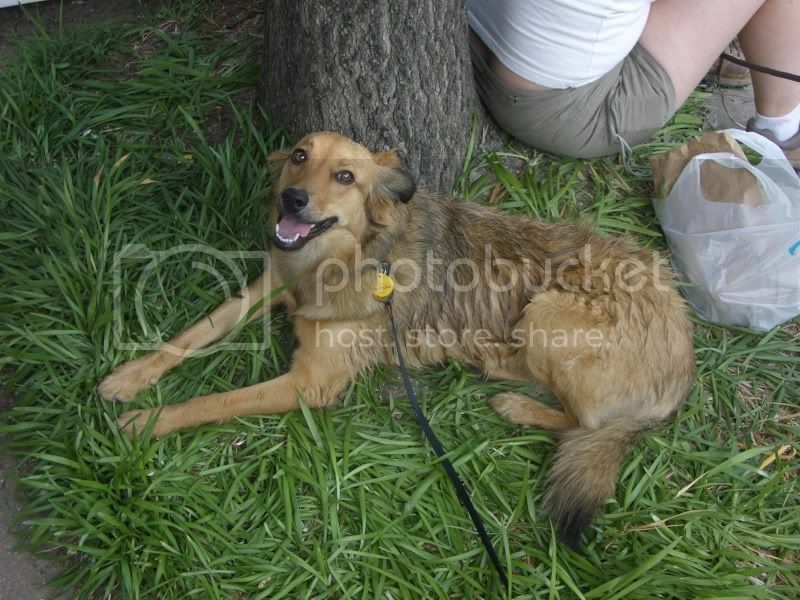 She loves people, and there were plenty of other dogs out there too. So glad she's back and smiling! And botto--the yellow tag is her microchip code--she's not allowed to have a powertap because I think she has more wattage in her cottage than I do. Thanks so much for posting the photos. I grew up in North Arlington about a quarter mile from the course. Sheriff: You have a lot of experience with bounty hunters, do you? Mattie Ross: That is a silly question. I am here to settle my father’s affairs. Mattie Ross: I am the person for it. Mama was never any good at sums and she could hardly spell “CAT”. Yay Dora, nice to see her enjoying the races. Looks like a heckuva good time. 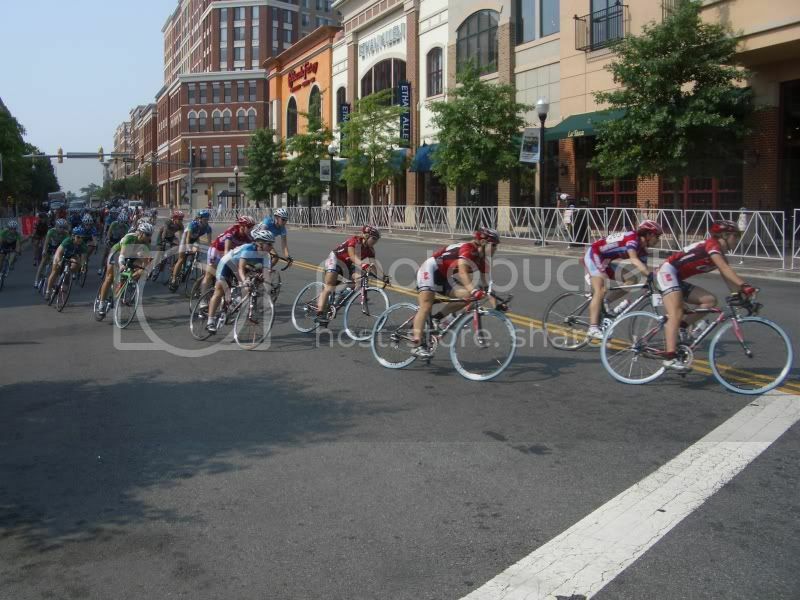 This has been an awesome, awesome week in DC to be a bike racer. A couple teammates of mine showed up at one of the local rides on Tuesday night to find some of the boys from Slipstream there. At the Wednesday night training crit that our club puts on, the Jittery Joe's team van parks 3 spaces down from me. They proceed to decimate the A race, and I get a little look at them as they're lapping the B field... twice. 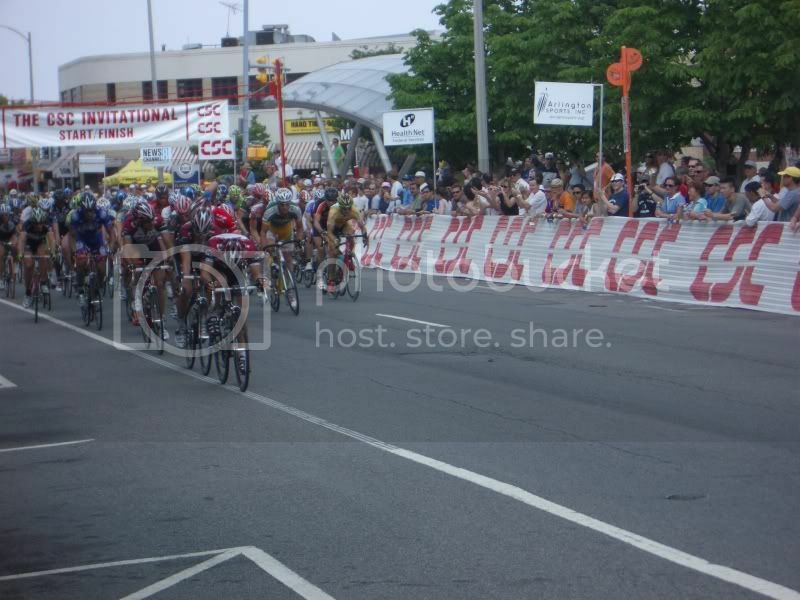 All of this capped off by a day of watching a tough, hot, attrition-laden 62-mile pro crit. I think Nerac is based out of a few towns over from where I live. Healthnet's DS lives in my hometown during the offseason so I think of them as a hometeam. I meant to ask during the US Open, but why isn't Jelly Belly doing ProTour races anymore? I do not think that Jelly Belly ever did a Pro Tour race. I'm pretty sure that they were in the TdF last year, that's how I know who they are. I met Dora the the race...what a SWEET dog she is...she definitely has some sheltie in her, methinks...I didn't know she was ill, Pete. Glad to see she's doing well. Rode with the Capitol Hill group today, did the Arlington Hills ride, in pouring rain, a real blast but what a nut-buster. Thanks for posting the photos - looks like it was a lot of fun and your team "mascot" enjoyed it, too! How was the race swag? I wanted to attend, but Saturday was also the Susan G Komen Foundation National Race for the Cure (5k race, 5k or shorter walk) and I was on a 22 person "team" organized by my wife and the wife of a good friend. 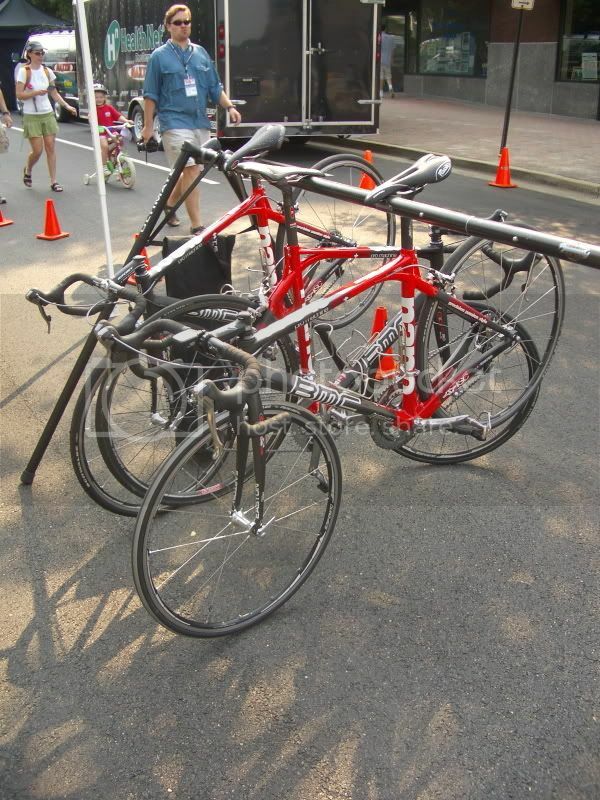 I wish SGKF would organize a bike event (like the MS150, or the Diabetes Assoc. Tour de Cure), but you can't argue with the success of having over 50,000 people show up in downtown DC at 7-8AM on a Saturday. 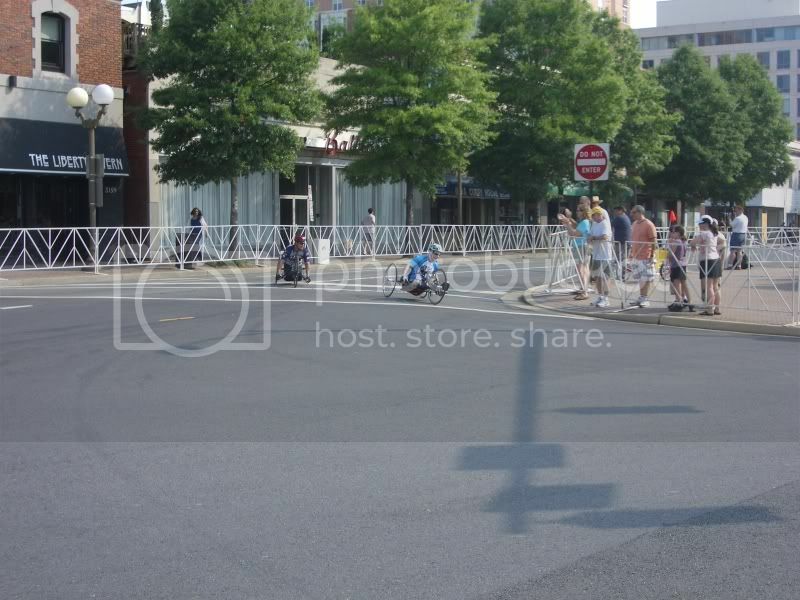 And the less spectacular but it's 10 min away Reston Town Center Grand Prix is on the same date as the wedding of the eldest daughter of friends we've known for 20 years, so I'll probably miss watching that one as well! Last edited by bdcheung; 06-04-07 at 06:20 PM. Thanks for the pics, Dr. Pete. JIm Wilson has alot of good shots as well. 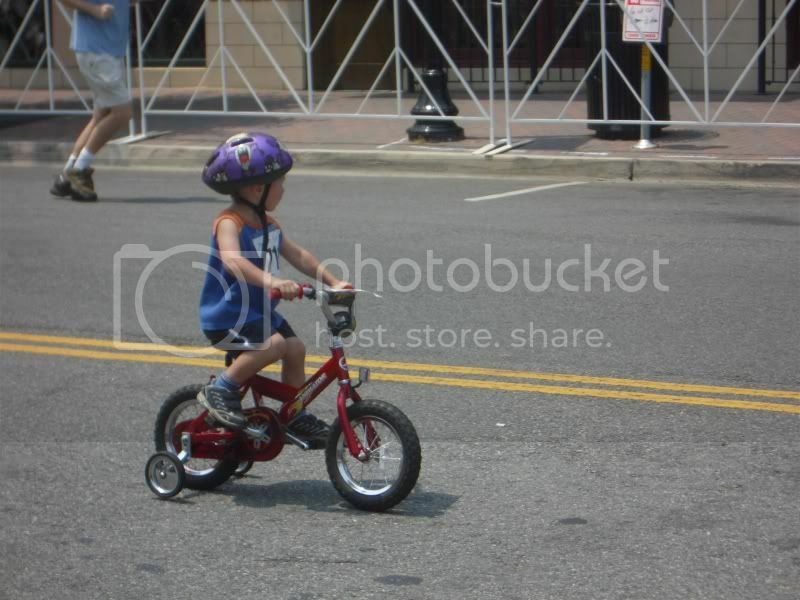 Sorry I missed the race this year. It's a great event to have in the area and a great race to watch. 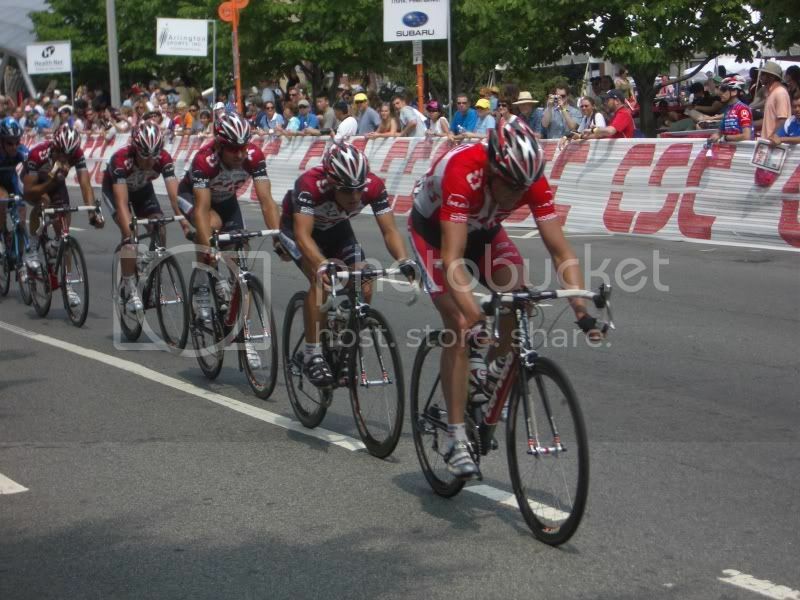 The CSC rider at the back of the their train in the 2nd to last photo - is he eating during a crit!? And what is it? It looks like a bag of frito's. Nice pics Dr. Pete. Thanks for the post.